Vivamus quam enim, tincidunt vel enim a, aliquam placerat enim. In bibendum hendrerit tempor. In condimentum, nunc ac molestie. What if you could liberate yourself to live in happiness, health, freedom, and peace? You can, and it happens from the inside. 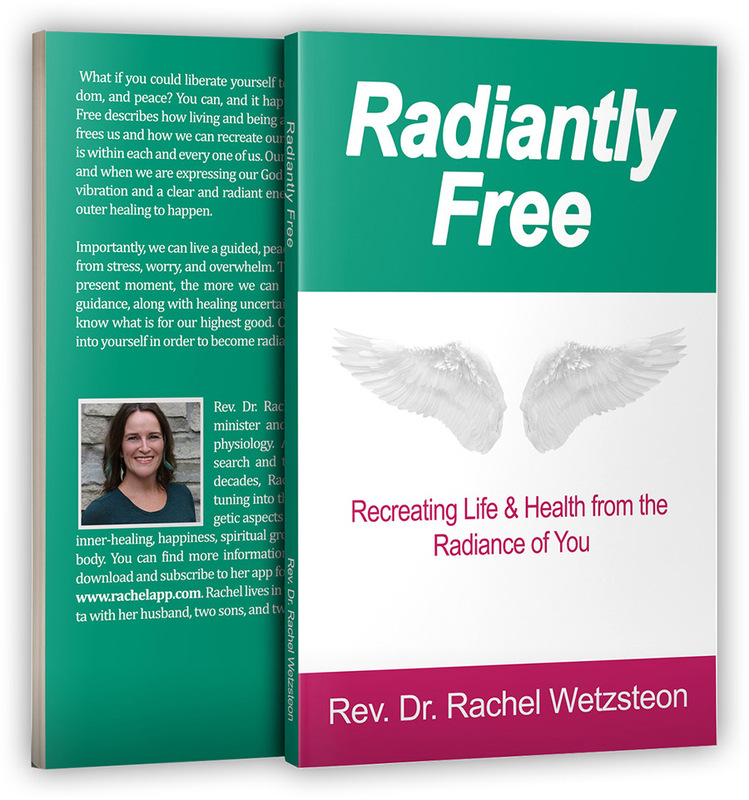 Radiantly Free describes how living and being aligned with our Godly potential frees us and how we can recreate our lives using our own power that is within each and every one of us. Our potential is unconditional Love, and when we are expressing our God self in the world we have a high vibration and a clear and radiant energy field. This allows inner and outer healing to happen. Get updates, Rachel’s 9 Happiness & Healing Essentials, and Rachel’s Radical Radiant Growth Video Class! account login info in the app. Then, use this login info inside the app to access the additional features. Enjoy and thank you for subscribing! !